My name suggestion of “Minibator” was shot down in favour of “Cini Mini”, but that’s okay. 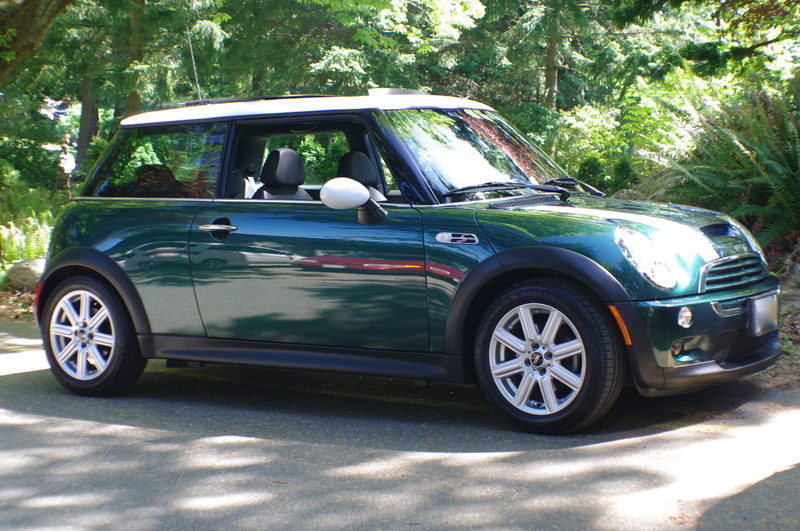 She’s a 2005 Mini Cooper S in British Racing Green with a 6-speed transmission, dual sunroof (it took ten years for me to get one), and is so much fun I could – and do – squee all over myself when we drive. It all happened really fast. On Tuesday, Ed forwarded me a link to the car – we had been talking about getting a new car for a few years, but more seriously in the last couple months. The ad for the car was almost too good to be true, but we decided to go take a look at it after work that evening. 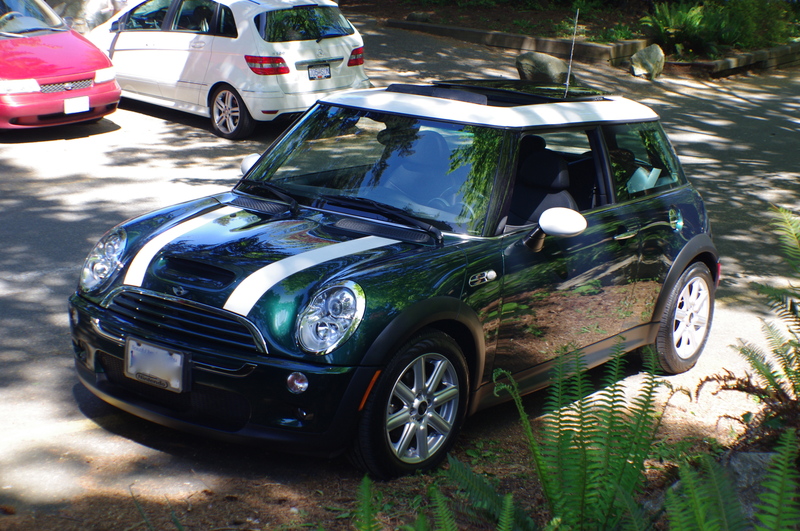 One thing led to another, and yesterday morning at 11 we signed many papers, shook many hands, and drove off in our new (to us) Mini. Yesterday was the kind of day people wrote sonnets about: we picked up our ridiculous new car, spent the afternoon at Whytecliff Park and Cypress Mountain, then had 15 pounds of Anton’s pasta to celebrate Shan’s birthday; all while enjoying Vancouver at her most glorious. Today? A repeat of yesterday (but maybe with less pasta) – as far as weekends go, this one is a keeper. Sadly, we did have to trade the Mazda 3 in as part of the deal. We don’t need two cars (truthfully, we barely need one), so we had to say goodbye to our beloved Mazdabator. It was a fantastic car for us, and I hope it goes to someone who will love it as we did – farewell, Mazdabator. You were an extremely good egg. I am totally jealous! Can you take me for a car ride? Lol. 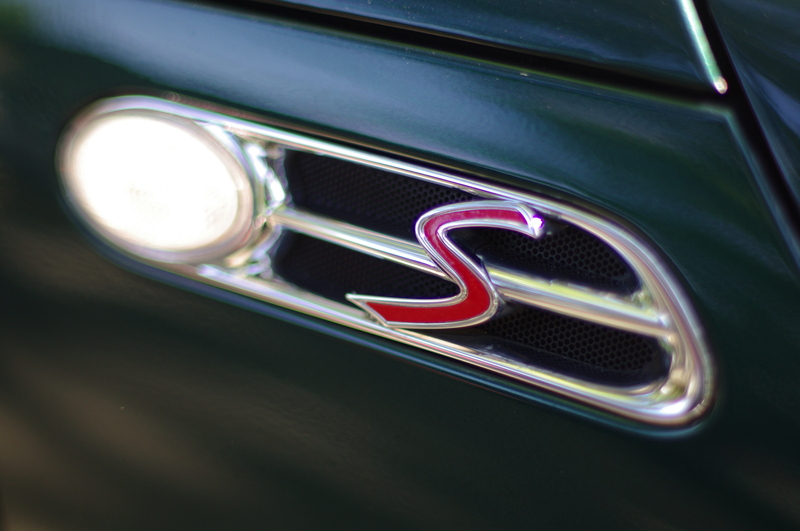 The Mini is MY favourite car of all time. I have no words to describe how jealous I am.